In the last two decades, the world of higher education has undergone massive changes: more and more students are taking “nontraditional” paths to college, either by taking time off after high school or returning to college as adults. Student and family costs have skyrocketed, as tuition has outpaced inflation and state aid to higher education has plummeted. Student loans have gone from a stopgap to both a major source of funding and a crippling source of debt. As a result of these changes, scholarship and financial aid providers have had to face a new reality. Helping high school students get into college is no longer enough. Today, it’s all about full-spectrum assistance for students facing all kinds of circumstances. And, throughout their educational journeys, there are four major areas where supporters can make an impact. The most traditional source of private-sector student funding is still vital despite all the changes in higher education. Merit-based and need-based scholarship programs have made the difference for tens of millions of students, and continue to do so. The biggest impact in today’s financial aid landscape comes from renewable scholarships, which provide aid for multiple years as long as students continue to meet certain criteria. With more and more upperclassmen losing out on financial aid as they go through college, renewable awards provide support that goes beyond freshman year. It’s also increasingly important for students, families, scholarship providers and schools to work together to maximize the impact of scholarships. A series of federal initiatives (such as the College Affordability and Transparency Center) are now requiring colleges to be more transparent about their cost structure and their use of outside financial aid; families and scholarship sponsors should also ensure that scholarships won’t displace other gift aid that students may be entitled to receive. 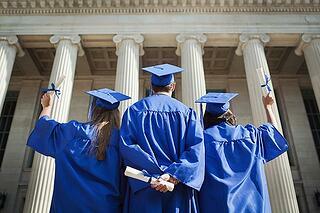 As they make their way through college, students will face more than just tuition costs. Even students who attend school tuition-free often find themselves struggling with housing, transportation and food costs. All too often, an unexpected financial setback like a medical bill or a car repair can even threaten to derail them from their academic track. The first programs were funded largely by colleges and nonprofits. Recently, the private sector has started to diversify into the emergency assistance space: Wells Fargo created an emergency program specifically for U.S. military veterans faced with unexpected costs while in school. With more and more students returning to college as adults — or furthering their education while in the workforce — the private sector is also helping boost graduation rates through tuition assistance programs. Unlike competitive scholarship programs, these programs offer funds on a first-come, first-served basis to help qualified employees or family members cover education expenses. Tuition assistance programs are particularly valuable for older students who are already in the workforce, and who want to either return to the pursuit of a degree or add to their expertise by pursuing advanced classes. These programs also provide a wealth of options and benefits for the companies providing them. Most famously, Starbucks decided to create a tuition assistance partnership with Arizona State University. The program allows employees of the coffee giant to pursue a bachelor’s degree via ASU’s online university tuition-free, and with a high level of flexibility. Even with more options for financial aid, student loans remain a fact of life for millions of college students and graduates. Recognizing this, some forward-thinking companies are adding a new twist to their educational benefits: student loan repayment. This benefit is still in its infancy, but it’s designed to address a rapidly growing population: those who have achieved their degrees and started work, but whose loan debt is preventing them from saving, investing or buying a home. Thanks to demand from younger workers, loan repayment looks to be the next frontier in private-sector education funding. 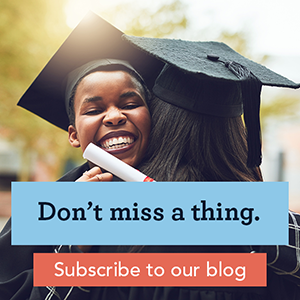 These programs, coupled with new policy initiatives aimed at simplifying the loan process, signal an increasing awareness that financial aid doesn’t end with freshman-year scholarships and grants. For both students and funders, it’s a wide new world of options. And whether you’re a high school grad, an adult learner or a scholarship provider, Scholarship America can help you navigate them. Visit scholarshipamerica.org to learn much more!